By this latest iOS 8.1.1, Apple patched the exploit used by the Pangu8 and cause jailbreak fail on iOS 8. This means, jailbreak is not available on this latest iOS 8.1.1 at this time. 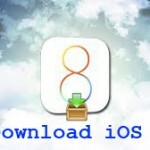 Cydia download & install with Pangu8 jailbreak is available on iOS 8.1 for both Windows & Mac users. Apple still signing for iOS8.1, (but Apple stop signing for iOS 8.1 any time). If you hope to Cydia download & install for your idevice (For iPhone 4S/5/5C/5S/6/6 Plus, iPad 2/3G/4G/Air/Air 2, iPad Mini/2/3 and iPod Touch 5G) with Pangu8 jailbreak, it’s best to restore (Upgrade or Downgrade) your idevice to jailbreakable iOS 8.1. 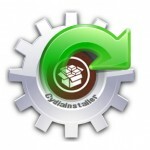 Then you will be able to jailbreak & Cydia download for your device now or in the future. 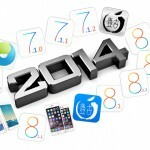 Harry to restore your idevice to iOS 8.1, this is the last movement for you to do that. In very soon, Apple will stop signing iOS 8.1, because you not allow restore to iOS 8.1 and will force restore to latest iOS 8.1.1. But, iOS 8.1.1 is not jailbreakable and you can’t install Cydia for your device.What should you do? If you are still on iOS 7.x.x or iOS 8-8.0.2, Restore your idevice to iOS 8.1 using iTunes – It will guarantee most reliable jailbreak process. If you had upgraded your idevice to iOS 8.1.1, downgrade back to iOS 8.1 with iTunes restore. After restoring to iOS 8.1, you can jailbreak your idevice using Pangu8 with Cydia download & install. Instructions with step guide can be downloaded below links..
Pangu will update their tool for iOS 8.1.1 in the future or Apple may release next version of iOS. They already has released iOS 8.2 beta for developers. However, you don’t need hurry to update, because it will take time for thing are settle. Until that keep Cydia on your device and wait for a jailbreak update….